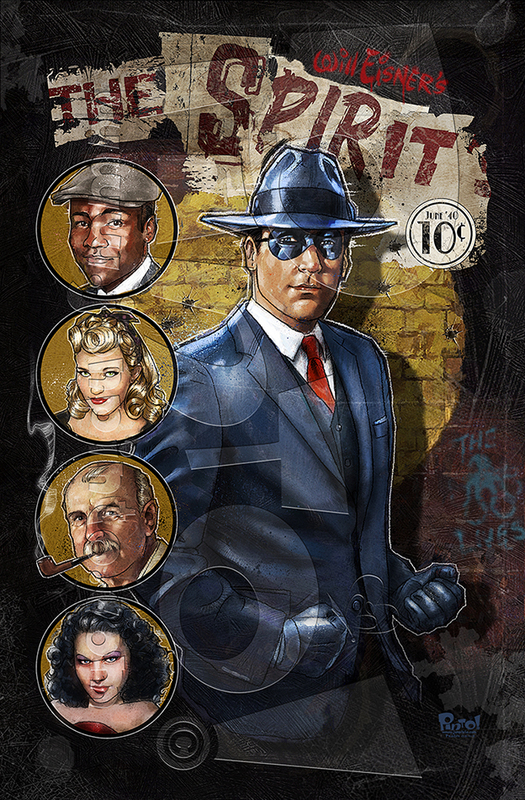 I am a big fan of Will Eisner's The Spirit. It's a shame that it feels like we are dwindling in numbers as more and more people are becoming unaware of such a classic character. It probably doesn't help that his publications have become erratic to say the least as it moves from company to company and creator to creator. 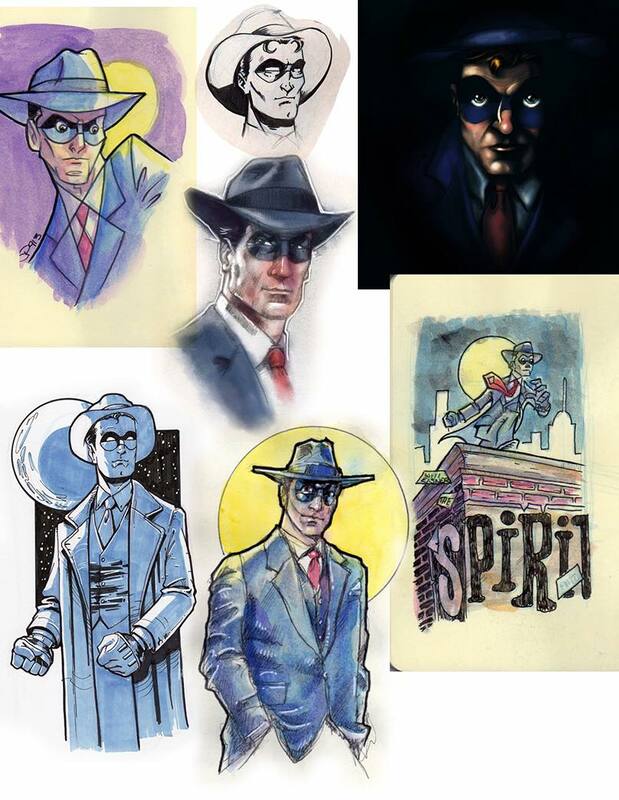 Don't get me wrong, I have enjoyed most of the Spirit stories that have come out since Will Eisner passed away but I am still waiting for someone to really run with it. I have copies of both screen iterations as well and neither of those were very good either. 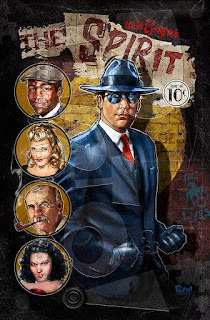 I think it would be cool if someone made a very "noir" series on Netflix or Amazon as I think there is so much potential. There was some activity recently as it would have been Will Eisner's 100th birthday recently. I got to meet him once right after my son was born. 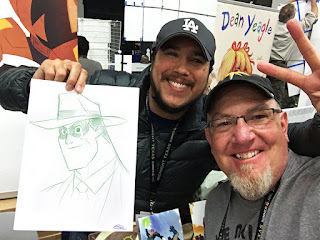 A friend of mine from Disney was also a student at my alma mater, The Ringling College of Art, and Will Eisner was giving a lecture one evening. I was invited to go and I did. It was a great night. I am glad I went. So as I was seeing other people doing little bits of online grace to The Spirit, as well as his other works, I felt compelled to finally do a Spirit picture of my own. 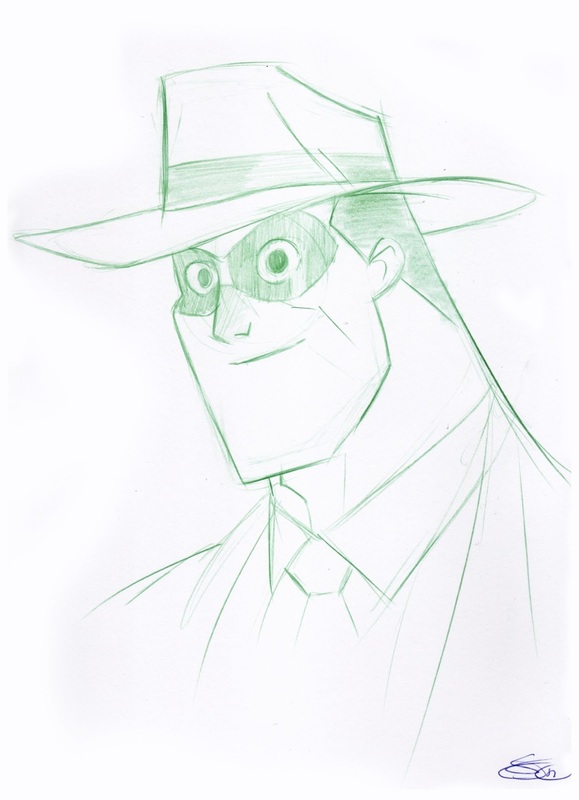 I had doodled him a lot in my various sketchbooks but never a full on "production". I figured why not now. I wish I had finished it in time for the actual 100th but I was running late as I had real work to complete first. Such is life. I am still riding a bit of a Spirit "high" as I also just returned for California and not only met the awesome Sean "Cheeks" Galloway, but got a sketch from him as well. You guessed it, The Spirit. Here is a pic of me and Sean! 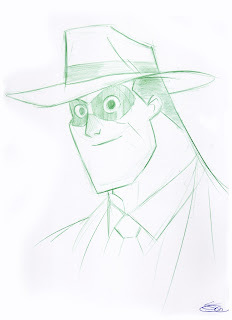 ...and a better look at his sketch!